Sitting in a beanbag seems to always make things more relaxing. 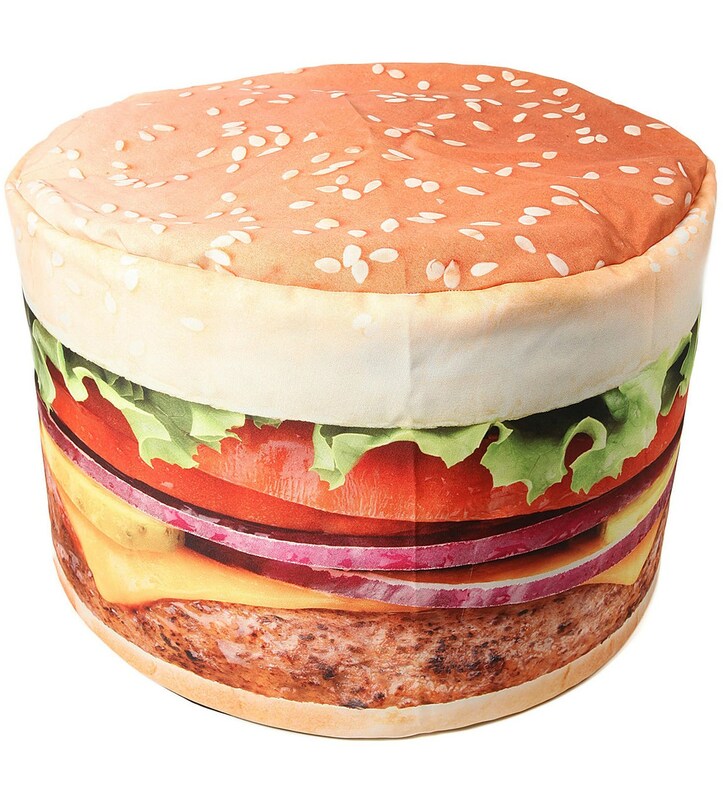 The old traditional round beanbag is great, but if you want a more unique style, check out the Hamburger Beanbag. This cool beanbag will make any living room, game room, or for that matter, any room more lively. This beefy 100% polyester bag measures 33″x33″. Sorry, fries aren’t included.